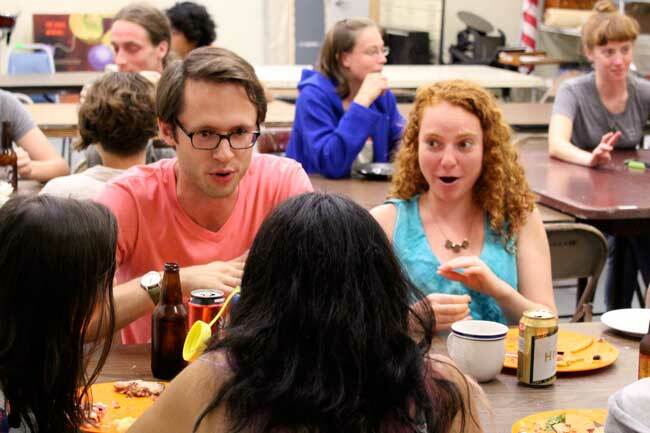 A tradition of Grin City Residencies and now core to our social engagement practice, weekly potlucks help bring artists and communities together. Children are quick to identify bullying. They are less quick to take responsibility for their or their peers' actions. Bullying is not a black-and-white subject, and one person can at different times be bully, bullied and bystander without realizing it. 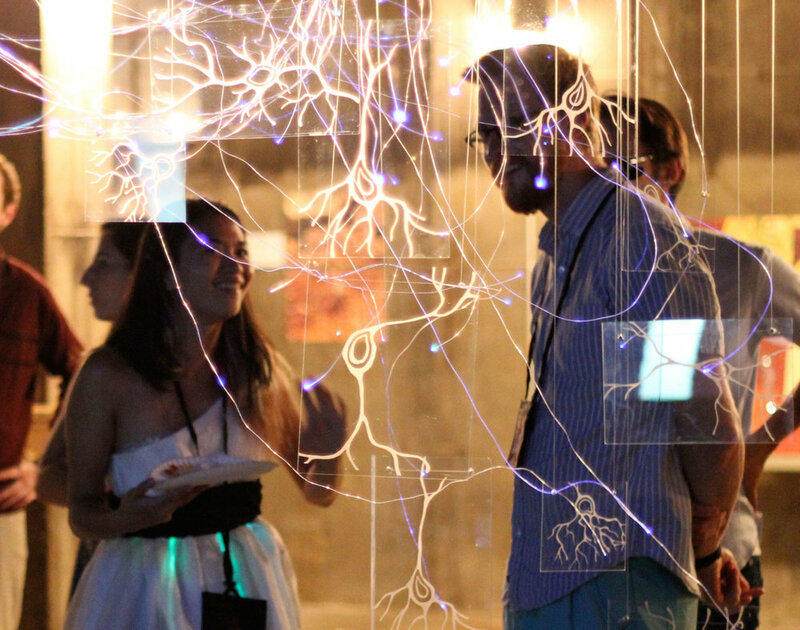 During the summer and fall of 2014, Grin City Collective brought together artists, writers, scientists and educators for a special 2-part collaborative residency that used innovation and design to build creative, interactive projects exploring the ways we interact with our world. During the summer of 2011 artists in residence set up a Free Shop in Central Park in downtown Grinnell. The Shop offered music, face painting, cookies and an assortment of artworks and objects either made or found. 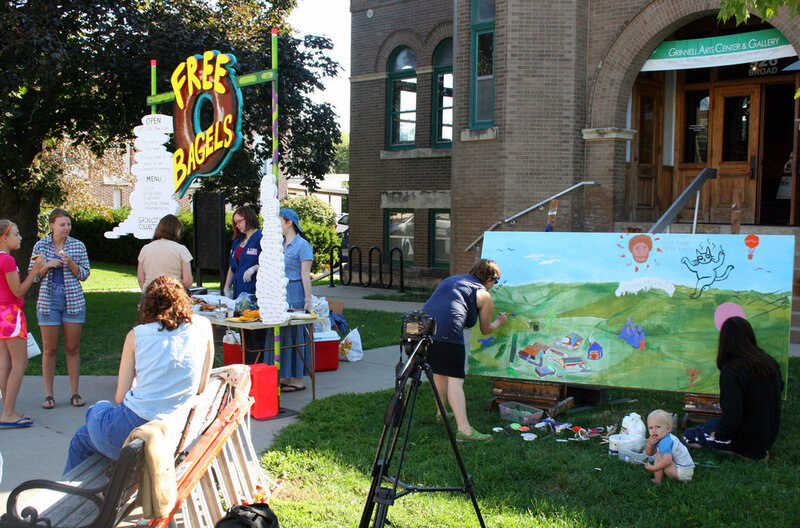 During the summer of 2012 artists in residence served up handmade pop-up-shop serving homemade free bagels and fixing in exchange for people to lend us their mark on a large collaborative landscape painting. Free art, free food, collaboration with the community!